Whether you have a new tenant or moving a current tenant to Console Pay it is important to ensure they are set up completely before proceeding. 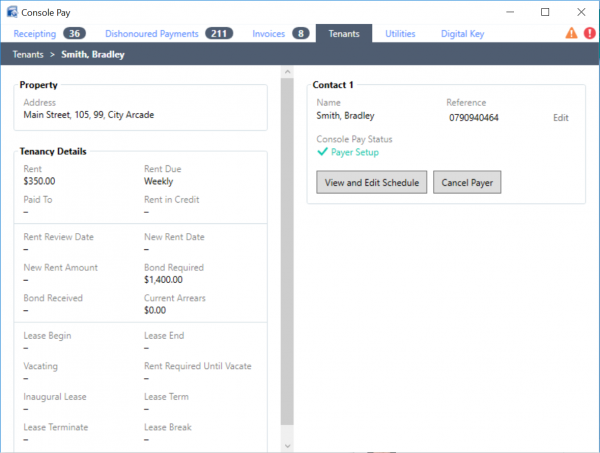 The Console Pay – Tenants screen displays including contact information, Banklink Reference and Console Pay Status. 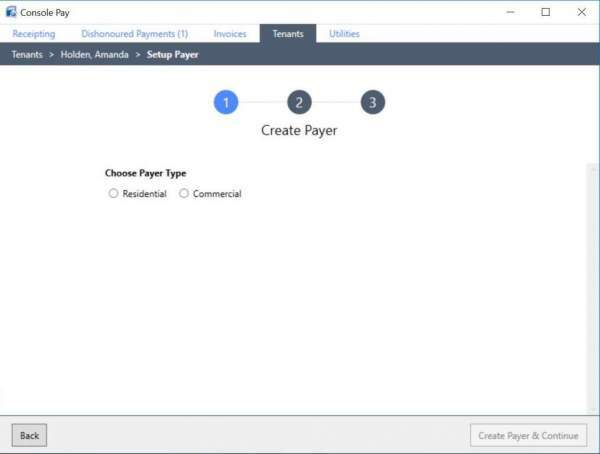 The Create Payer screen displays, select Residential or Commercial. 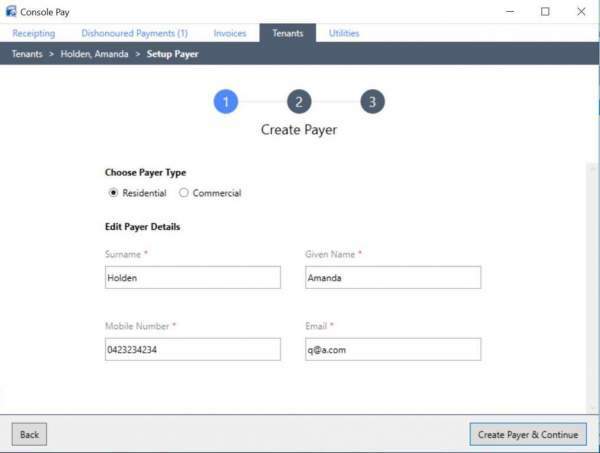 Enter the Name, Mobile, and Email or confirm the existing details then click Save and Next. 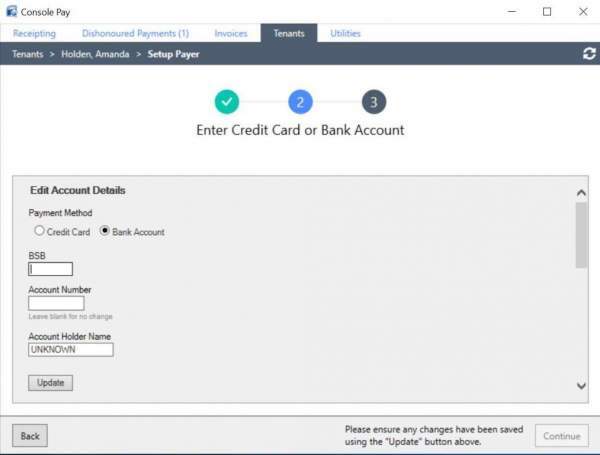 Enter the Account Details and Payment Method then click Update to confirm.. Enter the Initial rent, Bond, Recurring rent and any tenant deposits then . The Console Pay Status updates. 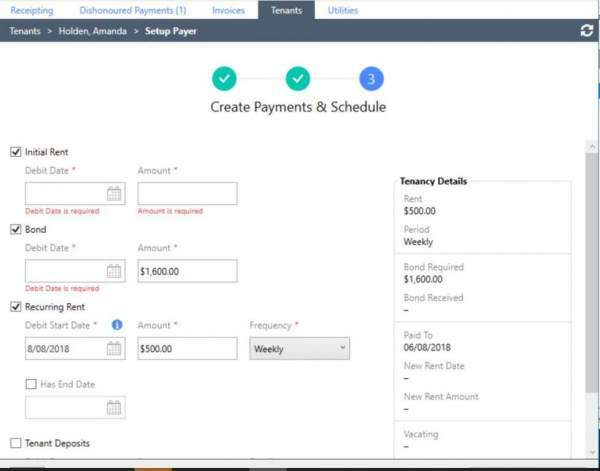 Click View and Edit Schedule – the first 20 payments are generated or less if a Generate Payments Until date or Lease End date is entered. Click Back to return to the Tenants Console Pay screen.